I have written several recent posts and spoken on the National Labor Relations Board’s wholesale attack on a wide range of employer policies and procedures (Part 1 and Part 2). As a starting point, some people argue that we should do away with many policies, and especially employee handbooks, or strip them down to almost nothing. 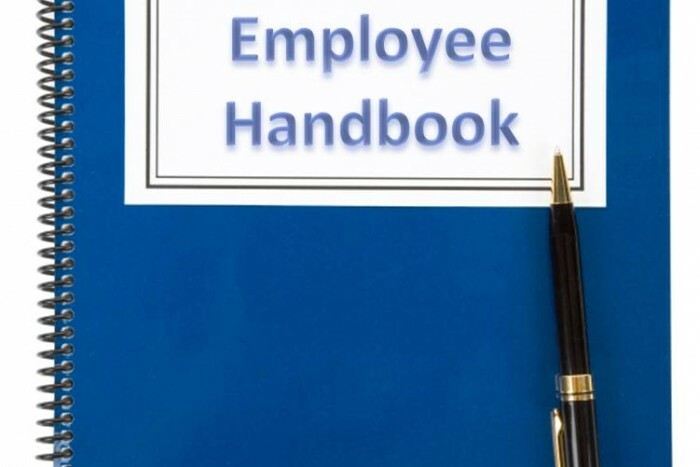 Others take the more traditional view that an employee handbook should be used for a number of purposes (See my partner Bert Brannen’s piece). Corporate may develop a magnificent comprehensive policy and set of procedures and send them to the work site. The site then puts the binder on a shelf or rarely consults the electronic version. And why should they? They were not consulted about their site or plant’s needs. The detailed policies and procedures bear no resemblance to how they conduct their business. Policies and procedures are not updated. Many employers retain a private safety consultant to develop lock-out, injury and illness prevention plans, and a host of other safety materials. At some point they quit using the contractor and never update the materials. Many safety policies and procedures require regular updates and OSHA will cite you for failure to do so. Safety programs must be site-specific. Some employers develop a lock-out policy and leave it to each site to develop their own machine and process-specific procedures. Managers and safety professionals may leave, and pretty soon, the employer has a fine lock-out policy and no site-specific procedures. OSHA can now cite you for a “willful” violation because you clearly knew of your obligations based on the existence of the fine detailed lock-out policy. In the construction setting, it is even more important to ensure site-specific safety efforts and training. Similarly, even where periodic updates are not required, changes may require not only revision, but additional training as in the case of introducing new chemicals under the hazard communication program or new or modified equipment mandating lock out revisions. A related problem is that employers neglect to prepare a written Job Safety Analysis (JSA) for every job requiring Personnel Protective Equipment (PPE). Often these documents are not dated and signed by the preparer, which is expressly required by OSHA Standards. Or the Corporate Office sends a company wide form JSA for use at each site. Even if the hazards and processes are near identical at each site, the employer still needs to ensure that the JSA adequately covers site issues and customizes it. Many documents bear no relationship with the realities of the workplace. It is not uncommon to learn that job descriptions were developed in the corporate office or in HR without consultation with the site or workers. Therefore, as a test, you may provide a job description to a successful worker and learn that he cannot meet the requirements. The employer later then be accused of discrimination on the basis of a disability condition when it fires another employee for an inability to meet a requirement that even successful current employees cannot do. Values statements are often developed at the top of the organization and are forced upon the employees rather than providing you with the opportunity to involve employees and emphasize what is unique about the company. These statements become meaningless. We still see language in leave, return-to-duty, workers comp and other policies requiring employees to be “100 percent recovered” before they may return to duty, instead of requiring an interactive process to determine if the employee can perform the essential functions of the job, with or without reasonable accommodation. Or policies state that an employee will automatically be terminated after a set period on leave, say six or 12 months. We generally like policies requiring termination after some length of time on leave, but only after engaging in an interactive process – it can’t really be 100 percent automatic. At a minimum, as you work through your NLRB-forced review of policies, first take a moment to consider whether you need some of these policies and whether they may need to be in an employee handbook. This was originally published on Fisher & Phillips’ Workplace Safety and Health Law Blog. Howard Mavity is a senior partner in the Atlanta office of the law firm Fisher & Phillips. He co-chairs the firm's Workplace Safety and Catastrophe Management Practice Group, and has provided counsel for over 200 occasions of union activity, guided unionized companies. In addition, he has managed almost 400 OSHA fatality cases in construction and general industry, ranging from dust explosions to building collapses, in virtually every state. Contact him at hmavity@laborlawyers.com .